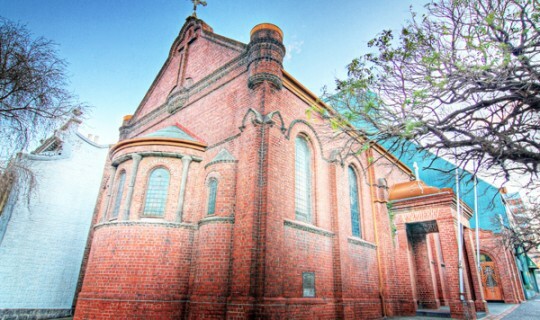 Heritage Victoria has granted the Greek Community of Melbourne (GCM) a permit to proceed with stage one of the reinstatement of Evangelismos church, according to Professor Marinis Pirpiris, treasurer of the Greek Community of Melbourne (GCM) and Chair of the Steering Committee. He further noted that “upon the completion of stage one our Church obtains the green light to operate as a place of assembly”. As Professor Pirpiris explained, “stage one involves a major clean-up of the Church consisting of removal of all the debris caused by the devastating fire; some minor structural works is required which will ensure that the Church can become a place of assemble for parishioners”. Works for stage one (1) will commence almost immediately. The GCM is delighted to announced that it has selected as its preferred builder Merkon Constructions, a building company that has a close association with the erection of Orthodox Churches. The Board of Management of the Greek Community would like to thank the following people for their tireless efforts in obtaining the relevant permits; Constantine Moschoyiannis (Morea Architects), Peter Paras (FMG Engineering), Andrew Christoforou (McKenzie Group Consulting) & Arthur Andronas (Andronas Conservation Architecture), Chris Merkoulias (Merkon Constructions), Angela Georgalis & Alexi Costa (Moray & Agnew-Lawyers). Once stage one (1) is completed, the Church can operate in accordance with the relevant building guidelines and codes. Currently Heritage Victoria is currently examining all plans that relate to stage two (2) of the proposed plans. The GCM would like to kindly remind the Greek community, as well as the broader Melbourne community that fundraising efforts are continuing, and that during the Greek Street Festival, a further $6000 was collected in aid of the Church.